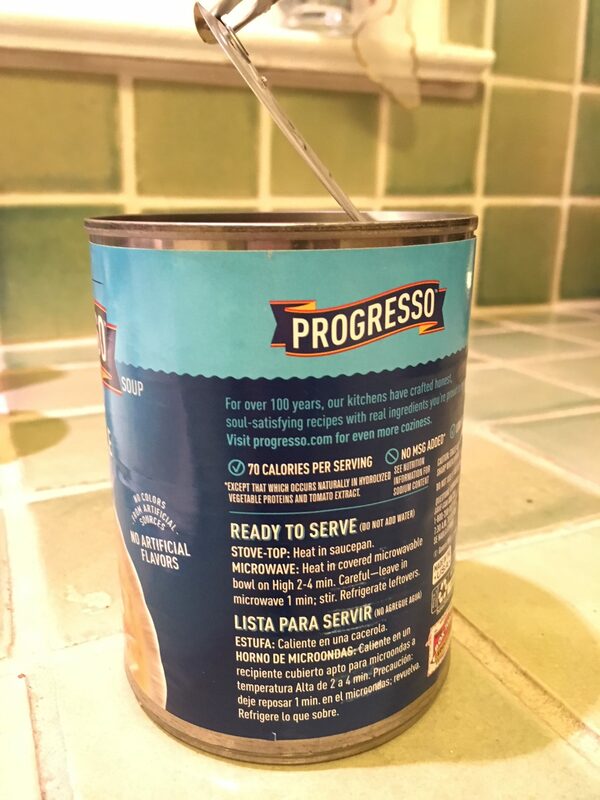 While waiting for some soup to heat up, I noticed that the instructions come in both English and Spanish. The value of such parallel texts is that you can learn new words without any extra help! The final instruction, “refrigere lo que sobre,” posed a fun puzzle. “Lo que sobre” apparently is intended to mean “leftovers” or “that which remains.” But at first I couldn’t find a verb from which “sobre” would come from (sobrir? sobrer?). (I did find that there’s a Spanish lovesong called “Lo Que Te Sobre” by Son De Cali.) After more poking around, I think that “sobre” actually comes from “sobrar” (“to remain”), which makes sense, but it means that the verb is in the subjunctive! Oh subtleties! I guess this is because you MIGHT have some leftovers but you might not. :) To me, this suggests that the translation was done by a human, because I doubt any automated translation has that level of sophistication. 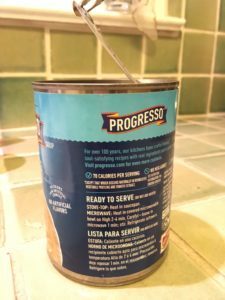 (Google translate turns “leftovers” into a simple noun, “las sobras.”) In English, perhaps we could modify “Refrigerate leftovers” to “Refrigerate what may be left over” (more literal) or “Refrigerate leftovers, if any” (more natural).